Place all the ingredients except for the water into a food processor and blitz until everything is smooth, scraping down the sides occasionally. While the food processor is running, add in the water 1 tbsp at a time until you have a creamy pesto. Serve with your favourite kind of pasta, I chose wholewheat spaghetti. This makes about enough pesto for four portions of pasta. 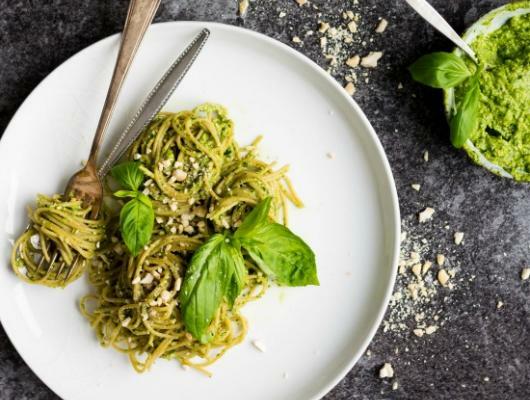 This simple recipe is totally vegan and features basil, cashew nuts and avocado. Combine with your favourite pasta for a delicious lunch or dinner. 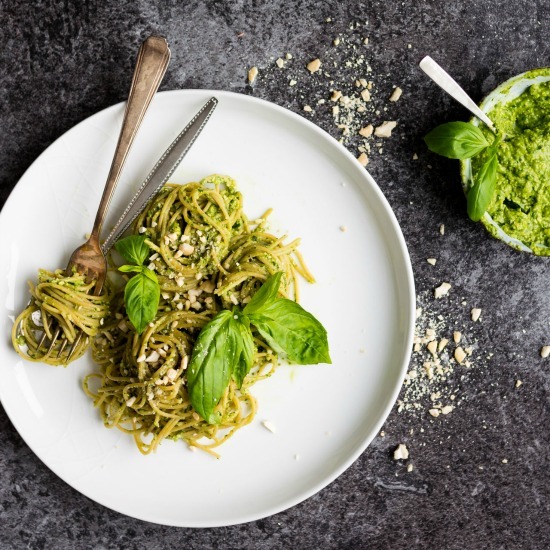 Store the pesto in an airtight container in the fridge for up to 3 days, or freeze for up to 3 months.